The Le'Veon Bell free agency tour is almost upon us. 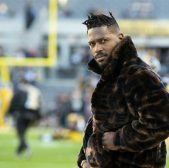 The Pittsburgh Steelers recently announced they will not be franchise-tagging him yet again, allowing him to be on the open market. For those that forgot, he sat out all last season while waiting on what he felt he reserved. He did not get that obviously in Pittsburgh, and so this offseason he will be looking for a new home. 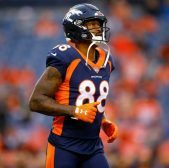 There have been plenty names mentioned like the Indianapolis Colts for his services and even the New York Jets, but there has been another team many are not talking about and many could use him. 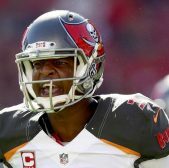 The Tampa Bay Buccaneers have been struggling to form an offensive identity. One reason they failed to form some type of identity last season was the switching of quarterbacks. Between Jameis Winston being suspended to start the season, Ryan Fitzpatrick playing well and then playing bad and both quarterbacks have good and bad moments, there was no consistency at that position. Along with the inconsistencies there, the running game slacked as well, ranking 29th in the NFL. Some of that was on the offensive line of the Bucs, but there was also some blame to be placed at the feet of Tampa's running back. With the addition of Bell to the team, he would add a guy that can read holes and be patient enough to make their line look outstanding and vice versa. And in a Bruce Arians offense he would get a ton of touches not only in the run game, but in the passing game as well because Bell is an excellent receiver. 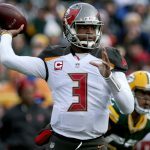 He would give Winston a security blanket and that could make Winston more comfortable within the offense. Bell to Tampa Bay sounds good with all he can bring, but the biggest thing that affects a signing is the money. Bell is arguably the top running back in the NFL when healthy and will command top dollar from any team he goes to. As it currently stands, the Bucs are paying wide receivers DeSean Jackson and Mike Evans very well. And despite rumors of Jackson wanting out, Arians reportedly wants to keep him there and is trying to talk him into not asking out again. With these two getting paid already and the Bucs still looking to get better, the team will only have roughly a little over $15 million in cap space. For a back like Bell, they made need a little more than $15 million, especially if they plan on signing more players. So with that being said, there could be a surprise cut coming there. One name that has been mentioned as a cut candidate is veteran defensive lineman Gerald McCoy, who is due $13 million next season. If he is cut, then the Bucs would have a little more maneuverability to sign Bell and add more things they need. 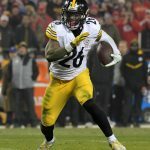 Bell surely has a lot of suitors out there and there will be plenty names mentioned, but the Bucs and Bell could be a nice fit. The move would get him to a warmer climate and hopefully to a team he feels truly wants him to be around. Only time will tell as the sand falls through the hourglass. 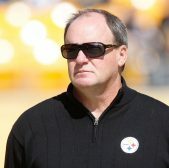 Is the problem in Pittsburgh Kevin Colbert?